Raphel, Adrienne. "The Canterbury Tales Quotes." LitCharts. LitCharts LLC, 8 Nov 2013. Web. 25 Apr 2019. Raphel, Adrienne. "The Canterbury Tales Quotes." LitCharts LLC, November 8, 2013. 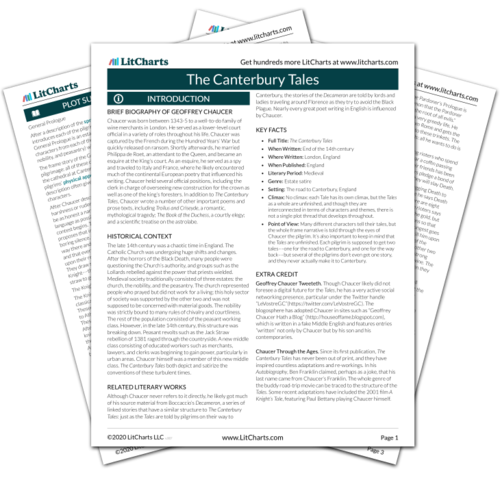 Retrieved April 25, 2019. https://www.litcharts.com/lit/the-canterbury-tales/quotes.